Consider installing a water filtration system. 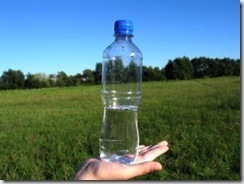 Most systems can purify enough water to fill thousands of bottles of water. This can help reduce the number of bottles that are thrown into the landfills each year, which currently totals around 38 billion. Purchase an aluminum or BPA-free water bottle, fill it up, and enjoy your next day enjoying the outdoors knowing your helping environment and yourself. If everyone in the family reduced their showers by even a minute or two, over 2000 gallons of water could be saved each month. Combine that with replacing a current shower head with an eco-efficient shower head, and you’ll add to your savings over 500 gallons per month. Run full loads in your washing machine. Summer clothes are lighter, and less bulky than the sweater and long pants we wear in the summer. Instead of washing on a regular basis, wait until you have a full load. Combine this with a water saving, energy efficient washer, an you’ll realize 500-800 gallons per month in water savings. Capture tap water, and begin using grey water. Instead of allowing water to run down the drain while waiting for warm water, throw a watering can under the stream while you wait. You can easily save 200-300 gallons every month. Combine it with using grey water from the rest of your house, and you quickly have a plan that helps you conserve in a variety of ways. Not only can commercial cleaners be harsh for your family’s health, it can also break down your plumbing. Consider alternative green approaches to cleaning your drain.